Twyfelfontein Country Lodge is set in the Huab valley in Namibia’s Kunene region, an area known for its various rock engravings and paintings. These are a reminder of the Khoi-San inhabitants of 6,000 years ago who used the area as a place of worship and shaman rituals. 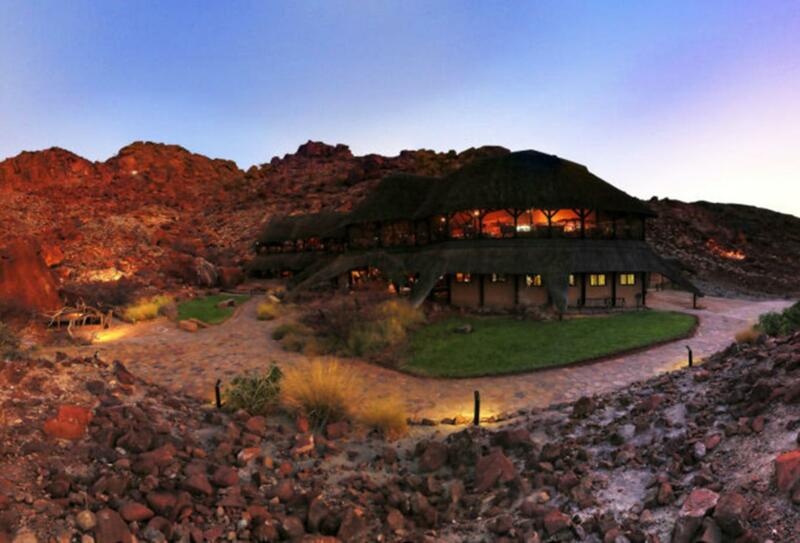 With its natural stone and hatch features, the lodge blends seamlessly into its surroundings of rocks and plains.